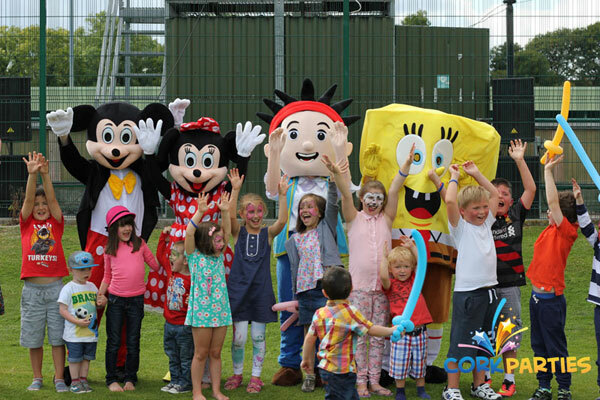 If your thinking of orgainising a private party or corporate event and are looking for something that will create the "Wow" Factor then contact Cork Parties. DJs for all occasions including Weddings, Birthdays, Kids Parties, Corporate Events and Christmas Parties. 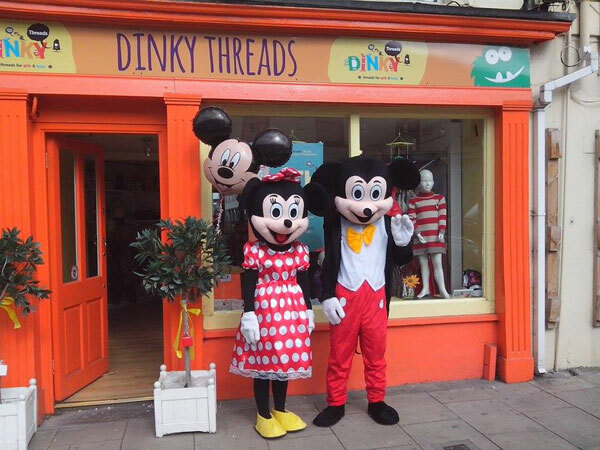 Balloons for all occasions including Weddings, Birthdays and Engagements. Professional facebook photographer to capture your best moments at your party. 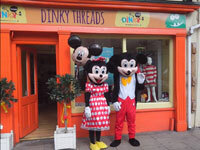 Mascots and costume hire for shop openings and promotions. Kids need to use up all that energy! Kids love bouncy castles and other inflatable's. High quality bouncing castles delivered and sited with safety in mind. Made of quality materials and reinforced at key points our castles will give you peace of mind during the party and a peaceful night as the kids sleep peacefully after all the jumping! Fun, exciting colours and themes that kids find enticing. Perfect accompaniment to our DJs or if you don’t want a DJ, we can also supply a small sound system to play their favourite tunes as they bounce around! Balloons to take your breath away. Big arch displays to tidy little bouquets. Balloons transform a room! Tell us the kind of effect you want and we’ll draw up a plan to make it happen. Foil balloons for glitz, ordinary latex balloons too. Helium gas to keep things up or tethered balloons if more appropriate, we can help you make the choice. Balloons in shapes. Balloons with messages. We can even organize custom print balloons. Special balloons for wedding, 21sts, 40ths etc. Archways, trees, balloon drops and centerpieces organized. We can also deliver balloon bouquets for the loved ones in your life at home, at work, wherever! Also we can add a splash of colour to your corporate or PR event with our balloons! DJ at your own party! If you have the music we can supply you with the gear to play it on. If you need a little help we can set it up for you and quickly show you how it works. It’s EASY. Hire it a day or two before the event at reduced rates to help you practice. If you organize a party in your own home you set the closing time, you are the doorman, and best of all you select the music! Our gear works with your CDs, your laptop or your iPod/iPhone or other MP3 player. We can help you set up iTunes to DJ too. A great party idea is to ask each guest to supply 3 or 4 of their favourite songs. Our Sound Equipment can be used to make speeches and provide background music. Our DJ equipment and Disco lights are user friendly, discrete and neat. Get a group together and karaoke is a hit. 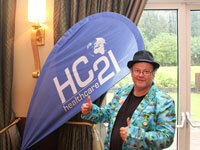 Most popular for hen parties, girlie 21sts and 40ths, karaoke makes you the star. Everybody has a party piece! We provide the gear and the songs. The gear is simple to use and we can give you a bit of one-to-one training to make sure you know where the buttons are! We can supply TVs as monitors or you can use your own TV and we will hook it in, if you want to save space. Karaoke gear that’s neat and tidy can really make a get together in your house. 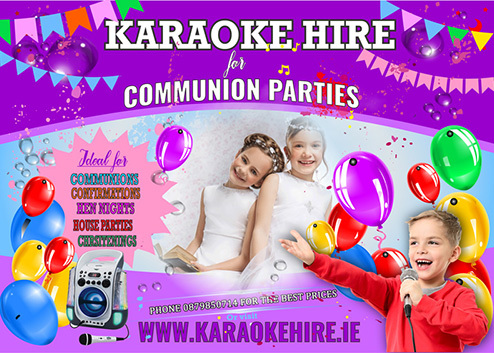 Please note all karaoke gear is by definition disco gear as well and can play music from any CDs, laptops or iPhone/iPod or MP3 player. 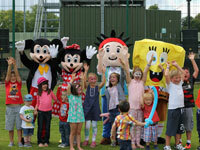 As well as bouncy castles, we can handle anything your child desires for a party. Specialized kids DJs who have specialist kids music from Satellite TV shows as well as all the charts and the classic kiddy oldies. Face painters to make your little angel a little devil or a little tiger, or maybe a butterfly! Karaoke can be a big hit with kids as well. Your kid can be the next Miley Ray Cyrus! Your kid can lay down the rules about music too. We pay attention to the things the kids hate as well as love, all to make sure their day is special. If you’re throwing a party lighting sets the mood. Whether it’s formal and class purple up lighting and spotlights, fun UV black lights that lights up dayglo paint and white clothing, or modern LED lighting it looks great in photos and makes a great talking point for guests. Use it in your home to make it say “party”. Use it in a function room to take away that cold “hotel banquet room” or “sports club” feel. Talk to us about what about what way you want the party to be seen and we’ll supply the lights! Special 70s style disco mirror ball lighting, 60s psychedelic lighting and 90s style rave lighting also available. Choosing a venue can be confusing. Many venues will tell you that they have everything you need and throw in great grub too. The reality is often a few cocktail sausages, problems with neighbours over volume levels and no one around to let you in if you want to decorate the room. We can give you the inside scoop. If you tell us what is important for you we can draw up a list for a venue to agree to. If you want to bypass the hassle and cost of venues and bar drink prices we can advise you on how to throw a party at your own home. 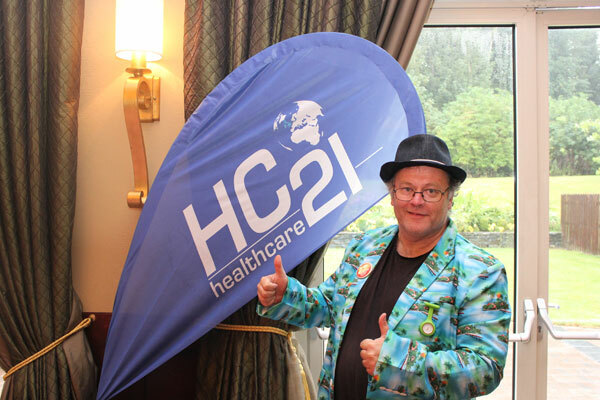 Allihies, Ballycotton, Ballylickey, Ballinascarthy, Ballincollig, Ballinhassig, Ballinspittle, Ballydehob, Ballygarvan, Ballyvourney, Baltimore, Bandon, Bantry, Barleycove, Blarney, Buttevant, Carrigaline, Castletownbere, Castletownshend, Castlemartyr, Charleville, Clonakilty, Cloyne, Cobh, Cork City, Courtmacsherry, Crosshaven, Crookhaven, Dunmanway, Durrus, Fermoy, Glandore, Glengarriff, Goleen, Gougane, Innishannon, Kanturk, Kilbrittain, Kinsale, Leap, Macroom, Mallow, Midleton, Millstreet, Mitchelstown, Mizen Head, Monkstown, Oysterhaven, Ringaskiddy, Rostellan, Rosscarbery, Schull, Shanagarry, Sheep's Head, Skibbereen, Timoleague, Union Hall and Youghal.